Beginning in 1979, I’ve been continuously employed by public research universities, the last 33 years at the University of Connecticut. This is long enough to have held five visiting appointments during four sabbaticals. Link to: Academic employment and Visiting Appointments. 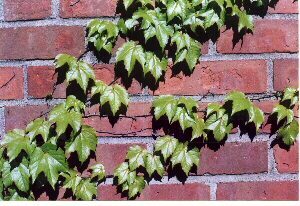 Photo: Ivy on Brick at the building I’ve been in for 33 years, Beach Hall on a summer day.